Reversible Plate Rental – Stone RP652, available for rent from the Duke Company in Rochester NY, Ithaca NY and the entire Western New York region. Featuring a 20 inch. 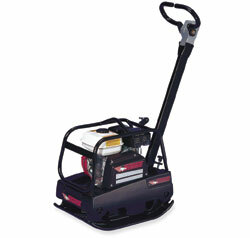 wide plate, 9 hp Honda, 6520 pounds centrifugal force, 5100 VPM, crank start, hydrostatic control, v-belt drive.